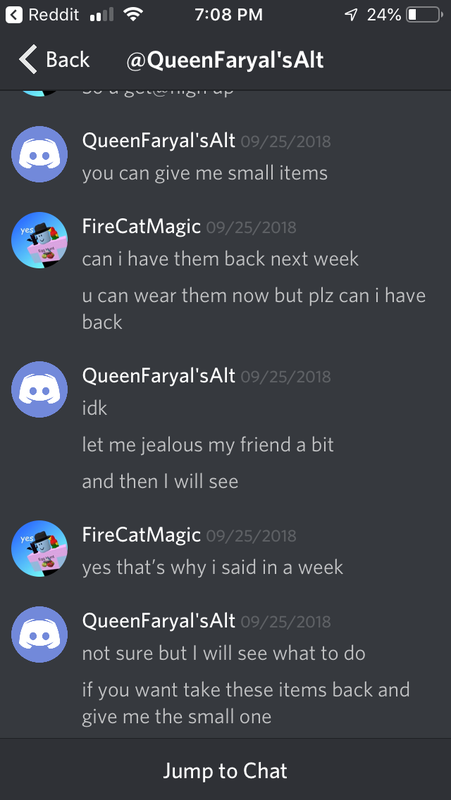 Please log in to rate QueenFaryal's reputation. 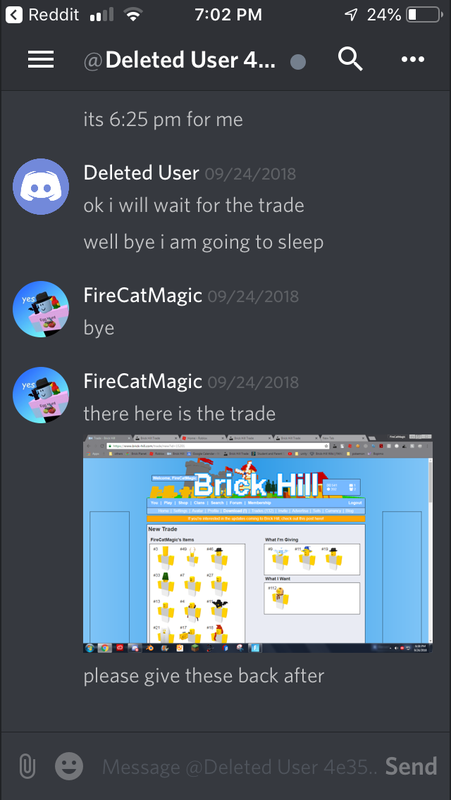 MukeALT She scams. Don’t trust her or trade with her. 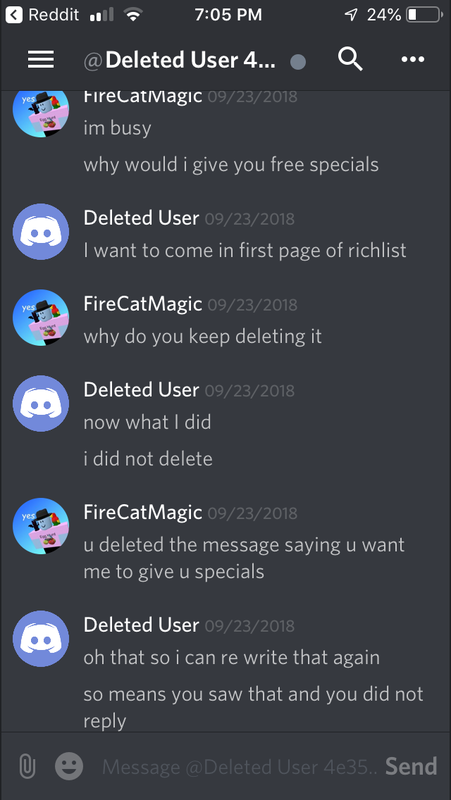 Asked to borrow items from another user under suspicious circumstances in order to get on the rich list but then refused to return the items.